Decorated former amateur golfer Nathaniel Crosby has been named as the 2019 United States Walker Cup captain by the USGA. Crosby succeeds Spider Miller who guided the USA to a 19-7 victory over Great Britain and Ireland at Los Angeles Country Club in September. 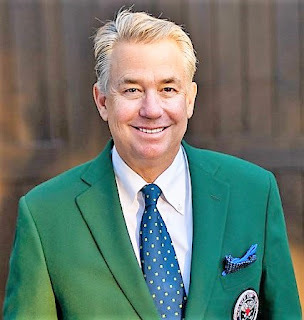 The 1981 US Amateur champion, pictured, will lead the US team as they bid to retain the historic trophy when the 2019 match is played at Royal Liverpool Golf Club, Hoylake in just under two years’ time. In 1983, Crosby was member of the victorious US Walker Cup team who last won at Royal Liverpool. He helped the USA win the Eisenhower Trophy at the World Amateur Team Championship the previous year, and was the low amateur in the 1982 US Open. “I am thrilled and overwhelmed to be chosen captain of the next USA Walker Cup Team,” said Crosby. “It will again be a privilege to be a part of the Walker Cup competition that I was so fortunate to be a part of back in 1983.